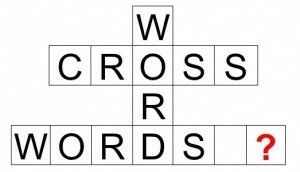 Many readers know I love doing crossword puzzles, and I’m usually pretty good at them. I read extensively (always have), and I can guess a lot of words, especially with a few letters filled in. Sometimes I have to wonder where the words come from in the clues or answers! Even when I look them up in a dictionary (yourdictionary.com), I’m often really surprised to find out that the word actually, really exists. The first two were the answers; the third was part of the clue. Odist: The clue for odist was “a poet who writes odes.” Even when I filled in the word from the other ones crossing it, I couldn’t believe it was real; it sounded very made up. Odist isn’t in many dictionaries, but in the freedictionary.org it is listed. I can see the logic for creating the word, but I had never been aware of it before. Olios: The clue was “a medley.” Trust me; that didn’t help, even when I again filled in the word. Olios? Well, yes. It also means a dish of many ingredients, and if you want to see all of its definitions, click here. Maybe you’ve never noticed it before, but many words make the sound of the noise or action they are describing. Crack! Wham! Hiss. Shhhhhh. Gurgle. Gargle. Sneeze. Howl. Hum. Whisper. Read more here. So, that’s it for today, folks! 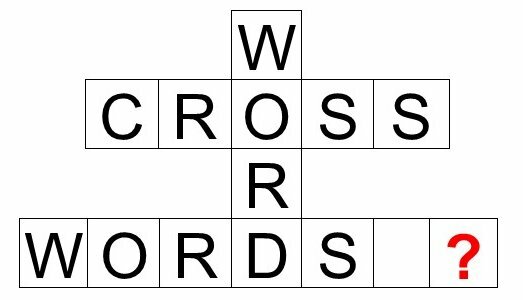 If you see any other odd words cropping up in your crossword puzzles — English ones, please — let me know. Let’s all laugh and learn together. ← When is a Question Not a Question?